Cola Top Flowering is when you trim and manicure the cannabis plants lower branches, cleaning and removing all of the small buds that do not get enough light, as well they just take nutrients away from other buds. 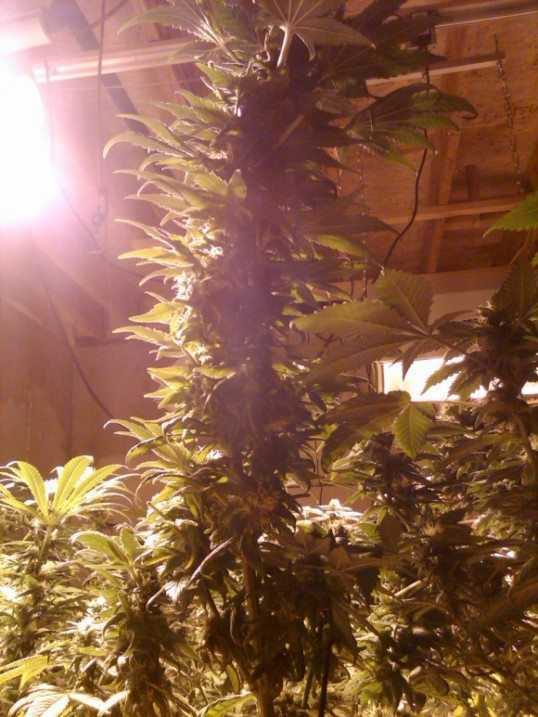 By removing these small buds and branches you will force all of the plants nutrients to feed the larger cola top buds, which will result in a much healthier harvest. This also helps speed up the trimming and drying stage! Cleaning and trimming the bottoms of the cannabis plants will create larger growth on top of the plants, hence the name Cola Tops. Cola buds are by far the best way to flower marijuana. These simple steps can save you time and money when growing marijuana. Most importantly, this method is the best when growing for large cola top buds. glad it helps you. its hard to always provide content for you guys as this is a free project i do. trying to pay the bills requires me to work a 9-5. only $ this site makes is on the ads that are on it from other sites. very small amount $ but every little bit helps. we will try to continue to provide you info as long as possible. Just wanted to say Thank You for providing this information. As a new grower I have found it very valuable. I’ve found that the most popular books about growing mmj are 10 yrs old. They gave me good basics but were not useful in answering specific questions. This site fills in the gaps in a succinct way. What is the best way to trim the plant going into flower to get the best shape and canopy?